Interview No. 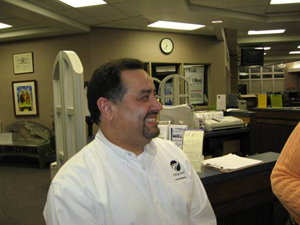 5 Juan (Johnnie) Cruz, HR Manager for Cequent Towing, Inc. Johnnie is a native of Puerto Rico. He has responsibility for 636 employees who represent 50 different countries. Johnnie serves on several boards and advisory committees in Goshen and Elkhart.